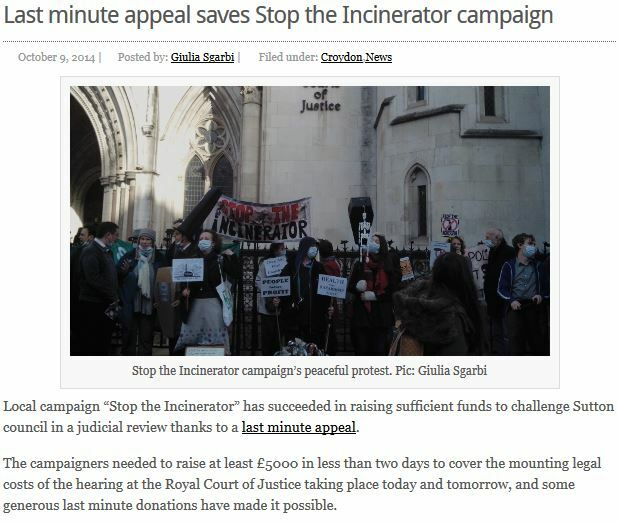 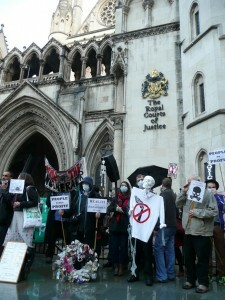 A big thank you to everyone who m ade it to the Stop the Incinerator demo outside The Royal Courts of Justice today. 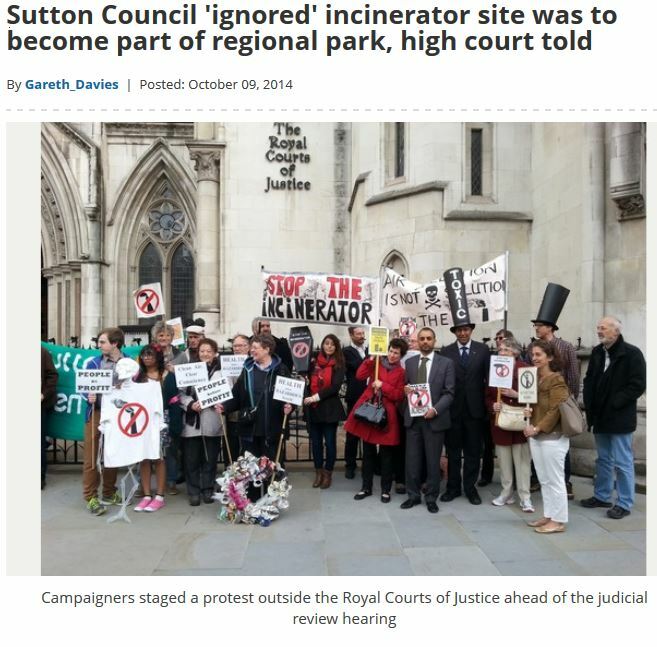 It was great being able to show Shasha Khan our support as he took on the might of Sutton Council and Viridor. 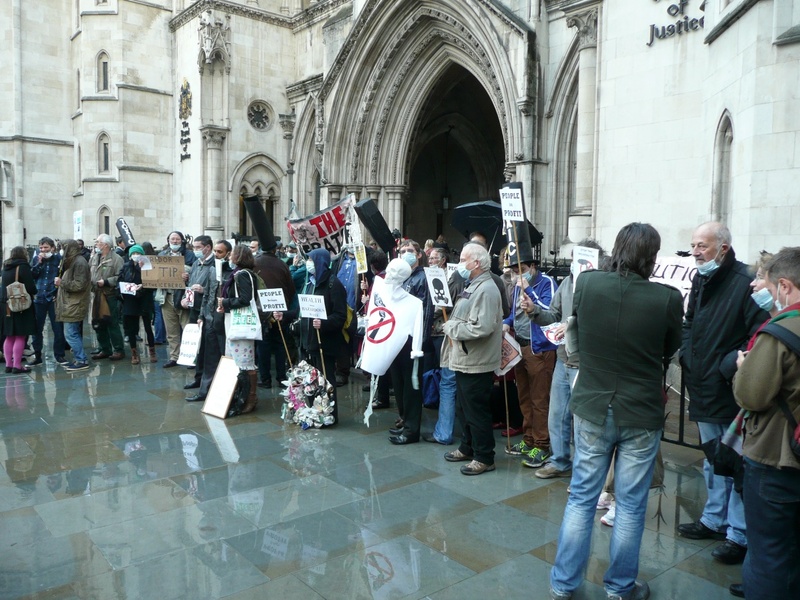 Huge thanks also goes out to everyone who has been so generous in donating over the last few days – you helped save the legal challenge from being aborted within 48 hours of getting to court. 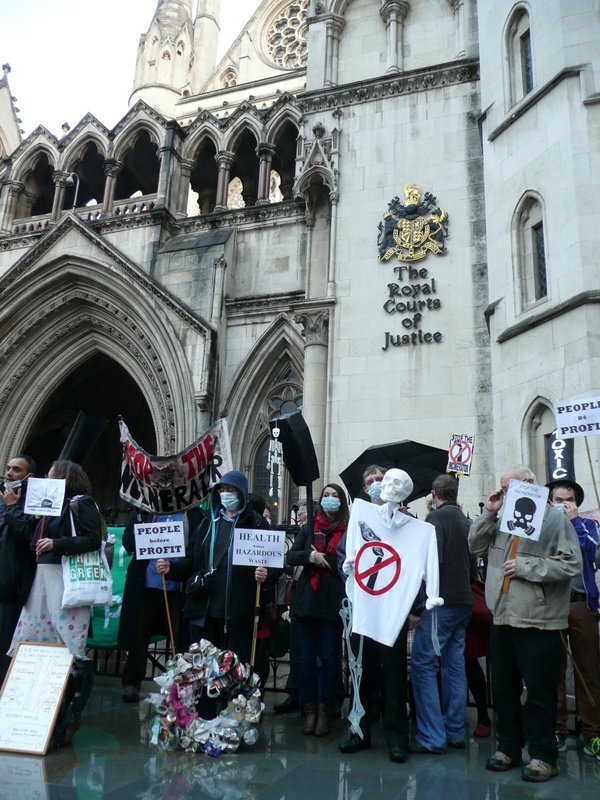 There will be another day in court tomorrow and then about 3-4 weeks until the judge gives her decision. 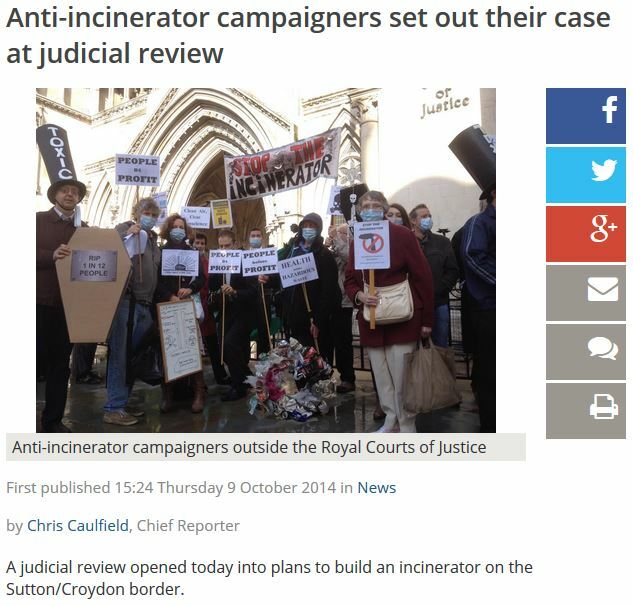 And this is how it’s been reported in the news.